Another migrant caravan is making its way to the United States from Honduras. Spanish language news showed footage of hundreds of Hondurans waiting at a bus station getting ready to start the long journey. Univision interviewed several migrants who admitted on camera that they were leaving their home country to seek better opportunities, but those fleeing poverty or economic hardship alone do not qualify for asylum. FACT CHECK: Did Ilhan Omar Tweet ‘They Reap What They Sow’ During The Notre Dame Fire? TRUMP TWITTER STORM: Announcement, “PRESIDENTIAL HARASSMENT!”, “COUP Update”, Melania’s Easter tweet and more! We have lost this country due to Democrats, our children and grandchildren are going to suffer. This country is at War and America has not been able to fight back. 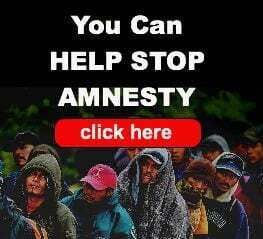 These illegals have no allegiance to America except to Take and Take and we the Taxpayers get Screwed. Time for every citizen to be prepared to fight for our families, because that’s what it has come to.